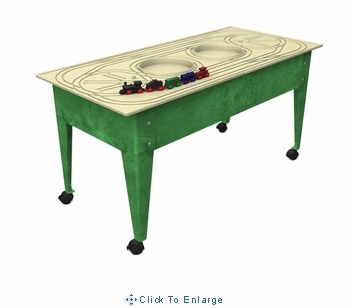 This Youth Play Table with Route Board includes an 24"H table frame with train board. 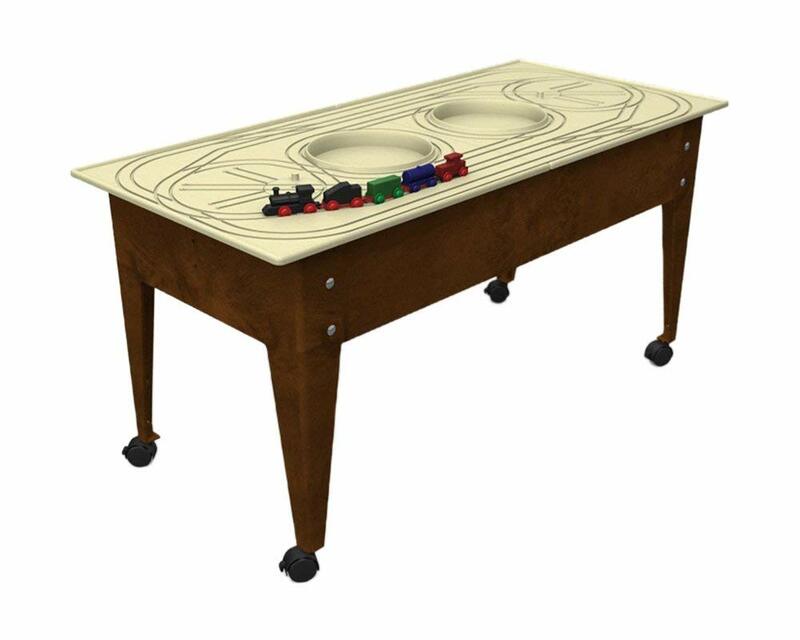 The train board fits snugly and securely on the table utilizing the tabs in the board. Indoor/outdoor use. Available in blue, red, green, or sandstone frame. Some assembly required. UPS Ground. Train: All trains consist of 4 cars and engine made of non-toxic resin. Complete with undercarriage coupling system and wheels. Each car is 3"L, and the engine is 4 1/4"L.
S200798 - Red Ball Express Train comes with the red engine. S200799 - The Old Wabash Locomotive Freight Train comes with Black engine.